Peak bodies and recreational reporting were the big talking points when the New Zealand Initiative launched The Future Catch in Wellington. The report pushes for the establishment of an organisation to represent recreational fishers, in similar vein to Western Australia’s Recfishwest. 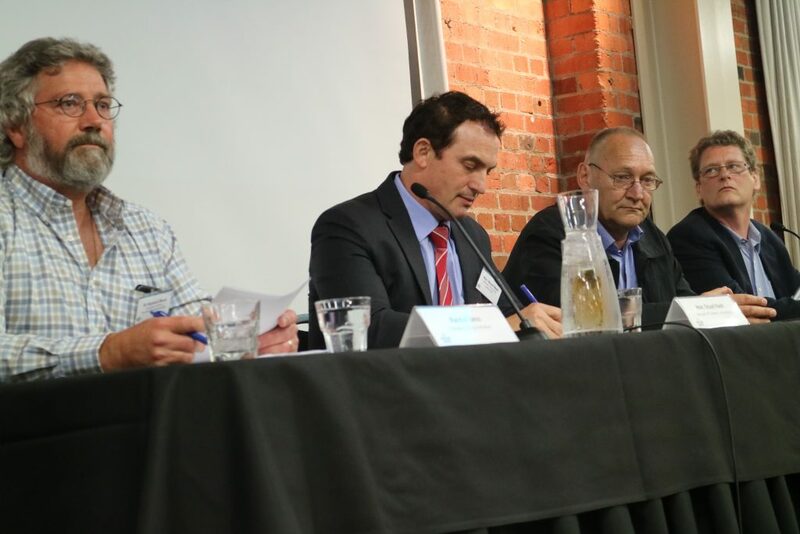 The recommendation, and others, were made during a panel discussion featuring report author Dr Randall Bess, Fisheries Minister Stuart Nash, former Ngai Tahu chairman Sir Mark Solomon and New Zealand Sport Fishing Council (NZSFC) vice-president Bob Gutsell. Bess said recreational fishing was integral to the Kiwi way of life - which is now under threat. “Historically, too little attention has been directed at improving the fisheries that are important to recreational fishers,” Bess said. The peak body would be a central contact point for all issues relating to recreational fishers and would advise Government on policy relating to the sector, the report advocated. Funding the organisation would initially come via re-allocation of the petrol excise tax boat users already pay. Nash said he was “not adverse” to a dedicated institute of a peak body. “Any such entity would have to take a positive and collaborative approach to addressing the issues,” he said. The report recommended integrating recreational fisheries into ministry policy by improving information on the sector’s catch figures. Nash agreed with Bess and Solomon that recreational catches should be recorded. Gutsell claimed it already was by the national panel survey. This came after he dismissed every recommendation from the report. He was given a stern warning from former ACT MP Stephen Franks who said NZSFC overvalued its political and voting clout. It was short-sighted to keep the Minister under the political blowtorch as it could jeopardise the long-term interests of recreational fishers, Franks said. designing indicators of stock management performance that can be tracked over time (e.g., measuring the satisfaction of the recreational fishing experience). Develop a process for fair and equitable total allowable catch allocations and reallocations over time, and in ways that benefit recreational fishers and compensate quota holders. required registration fees for recreational boats or trailers.